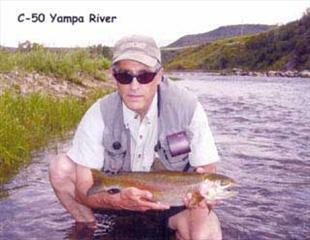 Description: The Utterback Ranch contains one-half mile of the 60-90 foot wide Yampa River. This section of the river is prime water for very large rainbows, browns, and northern pike. Location: This property is located 11 miles west of Steamboat Springs, near the town of Milner. Capacity: Limited to 2 anglers or 3 if in one group.